Many people help both during the service and behind the scenes each Sunday to make our worship experiences so meaningful. 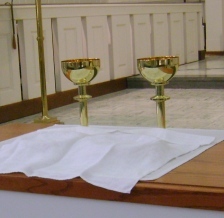 From the Altar Guild preparing the physical worship space, to our Worship Greeters and Ushers welcoming and directing the congregation, to our Liturgists who read the scripture during worship, there are many ways for people to serve. Additionally, our music groups provide an environment of worship that enhances each service. 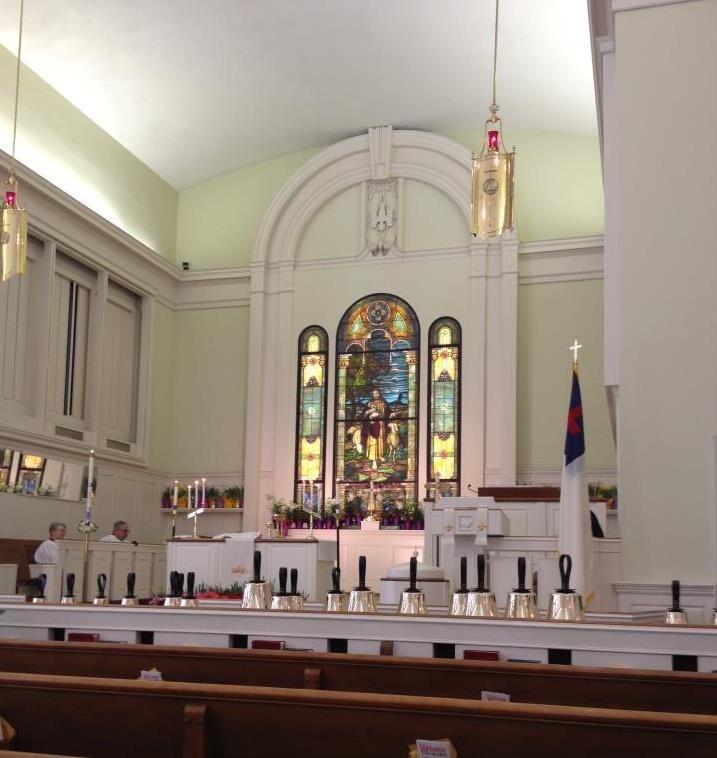 The Only Grace Praise Band leads the music in the 9:30 Contemporary service, while our Sanctuary Vocal and Carillon Handbell choirs enrich our 11:00 Traditional service on certain Sundays during fall through spring seasons. Please contact the church office to receive more information about these groups. The Music Ministry of Grace Church has a long tradition of providing the finest quality music for the enhancement of the worship services. The congregation is blessed with many dedicated persons who regularly give of their time and talents to make the Music Ministry such an outstanding program. For several decades, the church has been widely recognized for its excellence in providing music for the worshiping congregation as well as other events in the community and region. In addition, highly qualified and dedicated leadership has contributed to the long tradition. As Director of Music, Dennis Stewart has now been at Grace Church for thirty-four years. The Grace Memorial Organ is a combination of the original pipework by the Wicks Pipe Organ Company and the digital voices (sampling from other real pipes) by the Walker Technical Company with a new four-manual console by R. A. Colby, Inc. Rededicated in October 1999, the Grace Memorial Organ is a central catalyst for worship at Grace Church. The pipe organ has been hailed as the "king of instruments" because of it's leadership ability and versatility. The adult vocal choir of the church is known for being one of the finest choral ensembles in the area. From September until June the choir sings regularly for the Sunday 11:00 A.M. "traditional" worship service - presenting a wide array of choral music from Classical to Contemporary as well as Spirituals and Gospel. In addition the choir participates in several choral programs in the Grace Music Series each season. The Carillons Bell Choir has come to be known as one of the finest adult handball ensembles in the mid-Atlantic region. In addition to their ringing for worship at Grace, the choir is also in demand to perform at other venues throughout the area. All of the ringers in the group are quite experienced and membership in this group is on a select basis. Concert appearances have included the Glen Meadows Retirement Community, Westminster Hall (Baltimore), and Longwood Gardens (PA). Please watch the Schedule of Events for upcoming events by The Carillons. 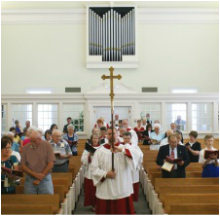 In the fall of 2006, Grace Church added a Contemporary Worship Service each Sunday at 9:30 A.M. The music for this service is provided by our own praise ensemble, Only Grace. The group is led by Rick and Nan Woppert. Their emphasis is on music composed in recent years, however they also include familiar hymns of the church in a contemporary style. Adult and youth singers and instrumentalists are invited to share in this contemporary music ministry. New participants are always invited to join in a choir. If you have interest in the Music Ministry of Grace Church we invite you to contact the church office. We will be glad to give you the necessary help to join a particular choir if you wish.